Opened by UltraStar Cinemas as the UltraStar Cinemas Mission Marketplace 10 in November 8, 1991. Later expanded to 13 screens. 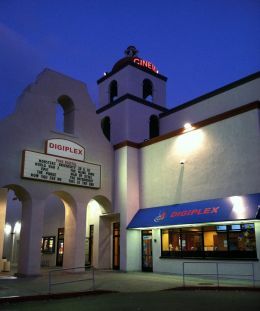 It was sold to Digital Cinema Destinations Corp. in December 2012 and named the Digiplex Mission Marketplace. Purchased by Carmike Cinemas in 2014. It became the AMC Classic Mission Marketplace 13 in March 2017 after AMC acquired Carmike Cinemas. Closed in January 2018. This theater is owned/operated by AMC Entertainment Inc. (AMC Theatres). This movie theater is near Oceanside, San Luis Rey, Camp Pendleton, Cmp Pendleton, Vista, Carlsbad, Bonsall, La Costa, Fallbrook, San Marcos.